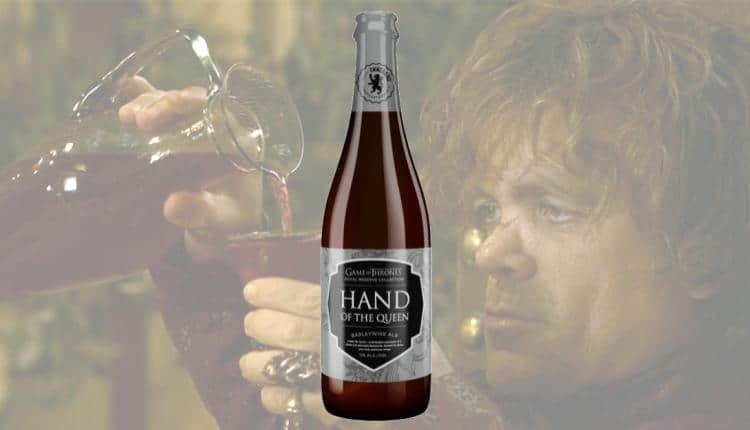 Game of Thrones Beer Series Adds Hand of the Queen | Nerd Much? "Knowing his preferences, our beer for Tyrion could only be a barleywine." Ommegang’s Brewery has announced that they will be adding a beer to their Game of Thrones beer series: Hand of the Queen. This is of course based on Tyrion Lannister, hand of Queen Danaerys Targaryn. Ever the wit and wisdom of the courts, Tyrion gets a barleywine. It is described as “malt-forward and multifaceted.” Ever the punsters over at Ommegang. There are apparently flavors of brandy, raisins, apricots, and “dark fruit.” An interesting set of flavors for a beer, though I have had similar locally made. I can tell you that the apricot flavor is usually a bit bitter, and “dark fruit” just means an almost mulled wine taste. Very light, though, this isn’t a beer that is actually going to taste like one. More like a light ale. The other two in the Game of Thrones series are Winter is Here and Fire and Blood, both are ales. Winter is here is a double white ale with plenty of white spice, salt, and orange for a hint of bitterness. It all sounds mild in comparison to Fire and Blood, which is made with ancho chilies. Though according to the descriptions, Fire and Blood is the sweeter one to Winter is Here. Both are more special occasions ale than the Hand of the Queen, but it depends on your tastes how you prefer to drink your beer. During Christmas dinner or savoring the bite of cold as you enjoy the Christmas lights outside. Whatever the case, at least one of these ales is sure to match the occasion. Hand of the Queen will be available next year, April 2018. But both Winter is Here and Fire and Blood have already hit the shelves. Check out your local liquor store to see if they have it.